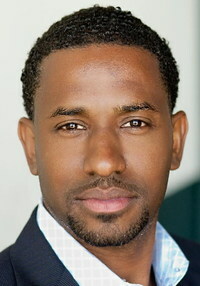 Hamet Watt is a longtime serial entrepreneur, who just recently join LA's Upfront Ventures (www.upfront.com) as a Venture Partner. Hamet was previously co-founder at bLife and MoviePass, founded NextMedium, and was Entrepreneur-in-Residence with True Ventures, among other experience. We thought we'd catch up with Hamet to learn about his new position over at Upfront, and what he's working on--plus how entrepreneurs ought to understand that success is not a straight line. Congrats on the new position. How'd you end up joining Upfront Ventures? Hamet Watt: I've known Mark (Suster) for five plus years now, and I like the the idea that we’re taking a different approach to venture capital. We became friends back then, have stayed in touch, and I've seen how he's invested in the community and creating this ecosystem which I've been a part of. We'd bee talking about it for over a year, and it hadn't made any sense at the stage of development of the company I was working on at the time, but it's now come to a good place where it made sense. So, we made it happen. What's your focus area at Upfront? Hamet Watt: I am going to be looking at innovation companies in digital media and healthcare. , I have a particular interest in the whole Health 2.0, quantified self, This is part of what we were doing at bLife, so, that broad space is very interesting to me. That includes stuff like wearables, wellness technology, things relevant to improving human performance, all of those areas are super interesting to me. You've had a lot of operating experience with your companies--how do you think that will affect your role as a venture investor? Hamet Watt: The two do work together. Being an investor and an entrepreneur are virtuous. I think the perspective that I have while operating a company is dramatically improved when I’m also investing in companies. You have an unique empathy for entrepreneurs, and your ability to truly support for entrepreneurs is greatly enhanced. It also helps in knowing what to do, as an investor, to support a company. Whether that's strategic support, coaching, or providing encouragement to help build a great company. There are some differences, but the two can work together. Both are really about company building. As an investor, it is about building a portfolio of great entrepreneurs, who and doing really innovative things. As an entrepreneur it's about building a great management team who individually and collectively have to do great things. What's the biggest lesson you've learned from your many companies? Hamet Watt: That's a great question. You need to choose a business that is aligned with your purpose. Not to sound strange about it, but it's really about finding businesses where you can attach some deeper meaning. I makes a difference in every aspect of what you're doing. Whether you're recruiting, raising capital, or building a product, if it's close to what your purpose is and you attach meaning to it, it will be that much more fulfilling, and you'll be better at it. As a venture capitalist, are you seeing any of the capital issues for startups we are hearing about? Hamet Watt: There is definitely a gap between the Series A and B today. I think, however, that for entrepreneurs now is a good time to build a company. There are obviously many tools that allow entrepreneurs to get much farther, on less than they needed in the past. That's another reason I'm every encouraged about being in this ecosystem, in particular, because there are now lots of resources tap into no matter what stage. As long as companies are doing something that is going to create value, ultimately, there will be financing partners there for them. Hamet Watt: I am looking for people who have grit, who are really sincere and excited about what they want to do. They need to be passionate about what they are doing. That might be overused, but it's an important metric. They need to be serious about solving the problem they are going after, and they also sincerely need to have an interest in building real relationships with their partners. I always said that as a founder, and I still believe that. I only wanted to take money from people I could see myself co-founding a business with. I think that, as an investor, I have the same mentality. I want to make sure the entrepreneur would perceive me as a person they could also see as a co-founder. Especially for very early stage companies. I also want to make sure that I can connect with the founders individually, and that the vibe is right, and that there is sincere interest on both sides to connect and learn about the other person, and figure out how to work together. I think there's a danger that venture capital can become too transactional. It's dangerous for entrepreneurs to think about their venture partners as purely transactional, because it potentially cuts both ways. You don't want your venture partner also thinking about there investments as purely a transaction, especially with startups, because not all of the metrics are crystal clear early, and things change. There's a picture out there showing success as what people see it, and what success actually is. The first picture shows a line going up and to the right, and there box on the right side of what success actually looks like, starts from the bottom left, squiggles around like crazy in different directions, and then ultimately ends up and to the right. I love that visual. I think that entrepreneurs and investors who have been through enough, know that success is not a straight line. A real partner has to understand that, and support you through those twists and turns. That's the kind of investor I want to be, the kind of entrepreneur I believe I am, and also the co-founder I believe I am.